Videocon Mobiles Phones Division announced its latest Budget Android Smartphone Videocon A24 in Indian Market. The device has dual SIM, 1.2 GHz Processor, 1450 mAh Battery, 4-inch WVGA Capacitive touch screen, 3.2 MP rear camera and 0.3 MP front camera. The phone runs on Android 4.2.2 Jelly Bean. Other features include 512 MB ROM, 256 MB RAM, Bluetooth, Wi-Fi, EDGE, FM Radio with recording and Expandable Memory up to 32 GB. The phone cost you just ₹ 4,699 and comes in Black and White colors. 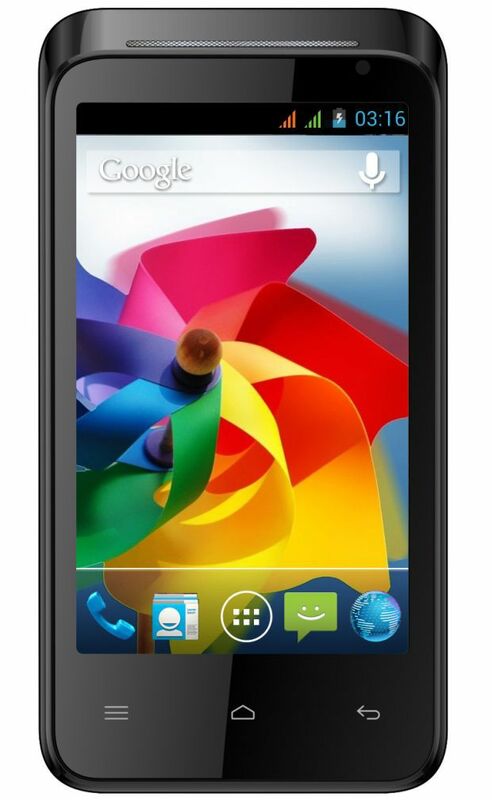 The phone is perfect for student who looking for a budget Android phone. The Videocon A24 preloaded with many apps like Times of India, Hungama and FunZone. It also has V Store where you can download popular apps and games like Facebook, Whatsapp and Angry Birds.